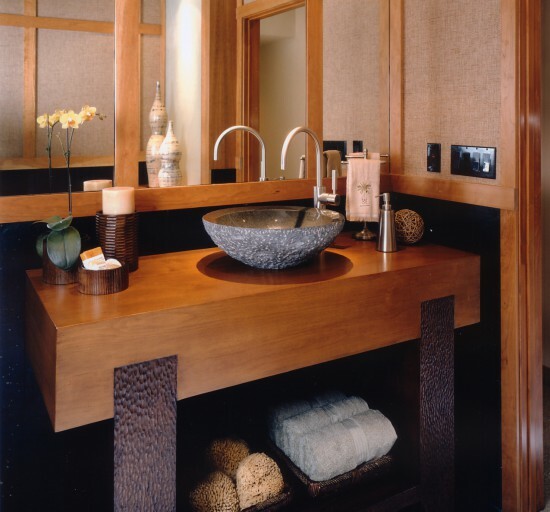 For this award-winning bathroom, Jim Walters selected his custom Tribe Console from his Home Retreat Collection and converted it into a bath vanity. He then covered the floor with black slate and ran it up the wall as wainscoting. 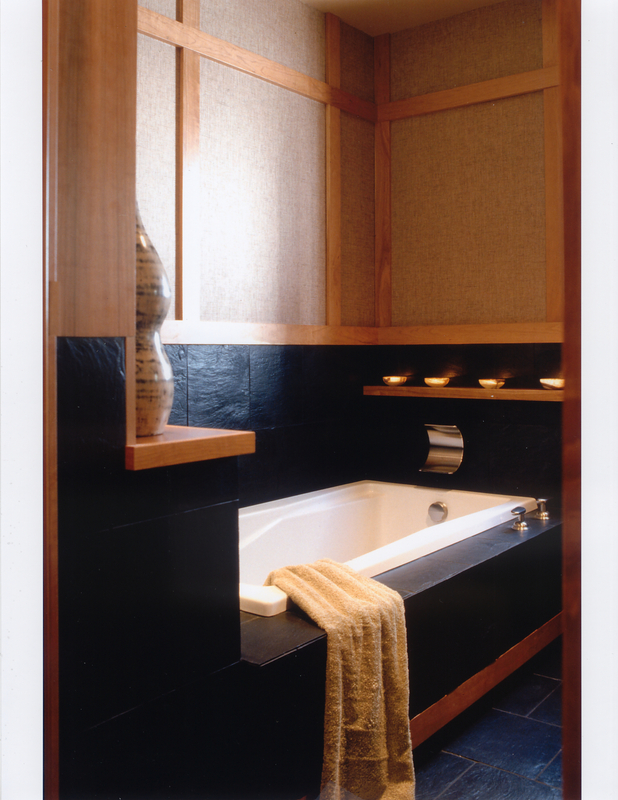 The tub was detailed with a new slate deck and skirt, and floats over a recessed toe kick. 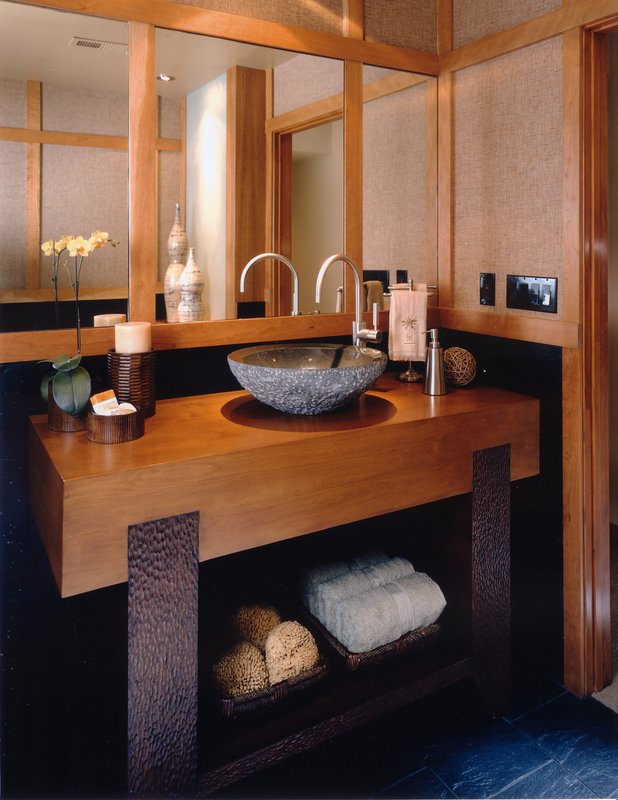 "From his own furniture line, Walters transformed a two-toned Tribe Console into a stunning vanity base. 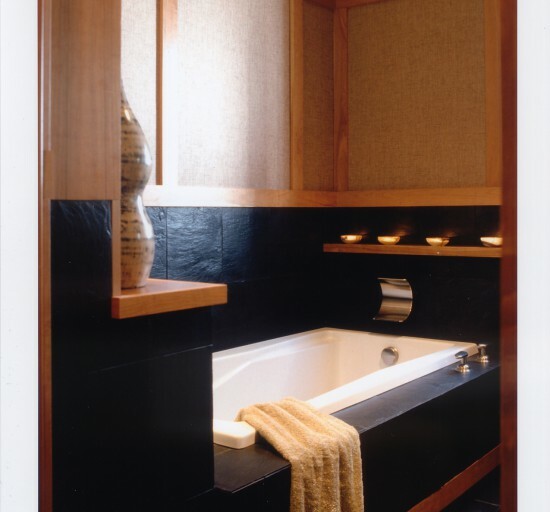 Atop this is a polished/chiseled granite sink that's served by a satin nickel faucet."